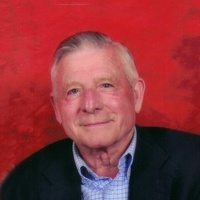 Peter Steffen Knippel passed away March 28, 2019. He was 88. Beloved husband and partner of Joan Johnston, devoted Pops to Steffen (Cristina), Michael (Manon), Kathryn and Peter. Special friend of Kennedy (Dania) and Martin (Roxanne). Adored Opa of Donna, Andrew, Justin, Kyle, Zachary, Sophie, Olivier, Nicholas, Abigail and Murphy. Joyful great Opa of Daisy, Delilah, Logan, Wesley and Derek. After a full and interesting life, Peter leaves us his legacy — his entrepreneurial spirit and his love of creating beauty in his gardens. Peter so enjoyed his career and cherished the relationships with his staff, customers and suppliers. Peter immigrated to Canada in 1953. Peter is predeceased by his parents and siblings in Germany, and the mother of his children, Sue Potvin. A proud Canadian, Peter followed his passions: family, hard work, travel, moose hunting, and special friendships. Peter’s dry sense of humour was one-of-a-kind and he will be affectionately remembered for his playful and funny exchanges of teasing remarks. Friends are invited to pay their respects at the Daley Family Funeral Home, 6971 Bank Street, (between Scrivens Drive and Metcalfe Corner) on Friday, April 5 from 2-4 and 7-9 p.m. and on Saturday, April 6 from 9-10 a.m.
A Celebration of Life will follow at South Gloucester United Church, 2536 Rideau Rd, Gloucester at 11 a.m. A reception will be held at Falcon Ridge Golf Club, 4740 High Road, Ottawa from 12-3 p.m. If desired, In memoriam donations to South Gloucester United Church, 2536 Rideau Rd, Gloucester, ON K1X 1A1 or Canadian Blood Services.